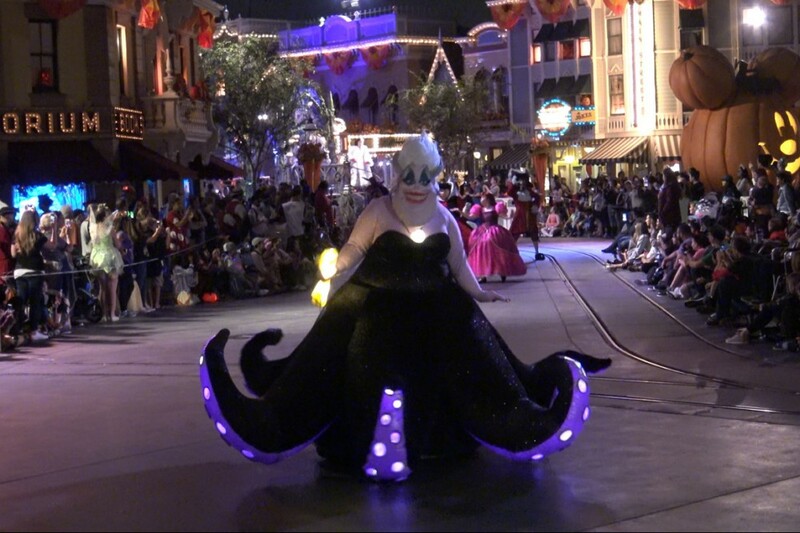 During last night’s Frightfully Fun Parade, a new solo Ursula float led the final float full of Disney villains! 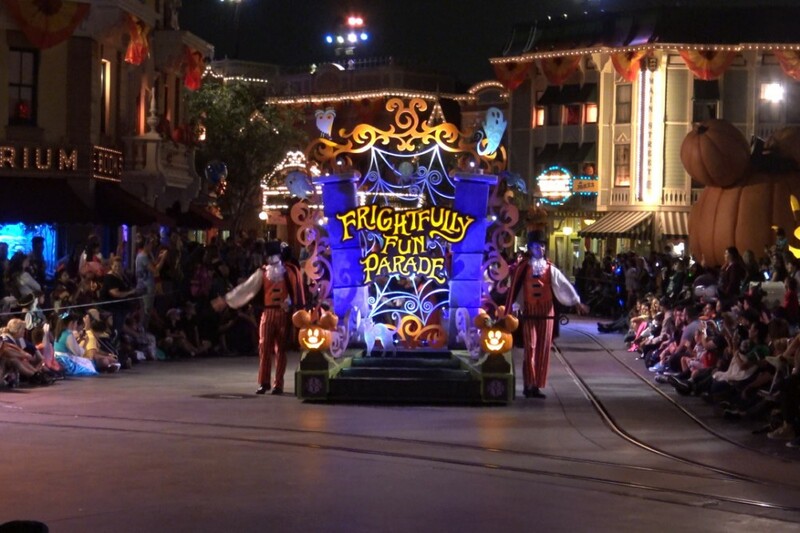 The Frightfully Fun Parade is part of the entertainment for Mickey’s Halloween Party at Disneyland Park, which began last night. 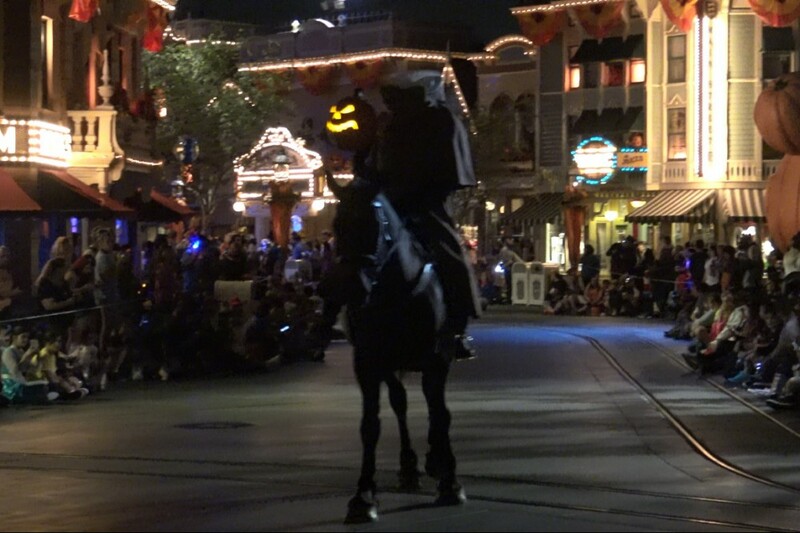 The parade is presented twice during the party, and again this year is preceded by the Headless Horseman of Sleepy Hollow. 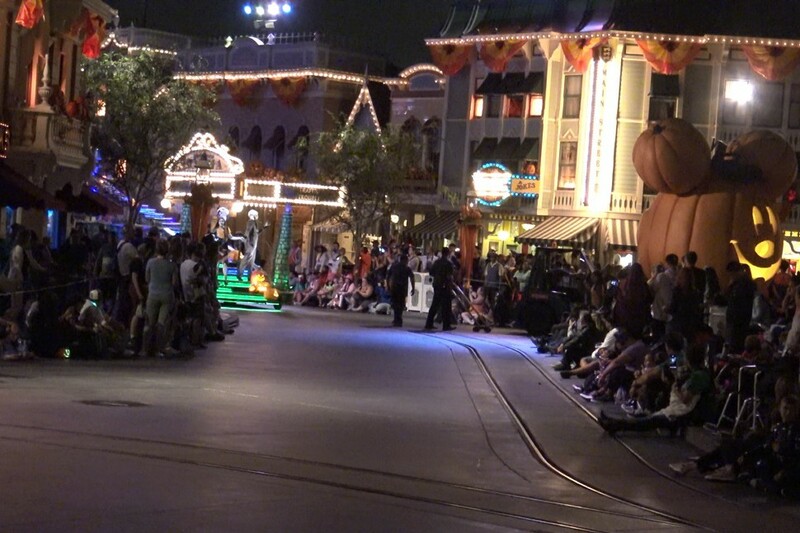 The first parade of the night went a little longer that expected, as the Jack Skellington float encountered some “technical difficulties”. 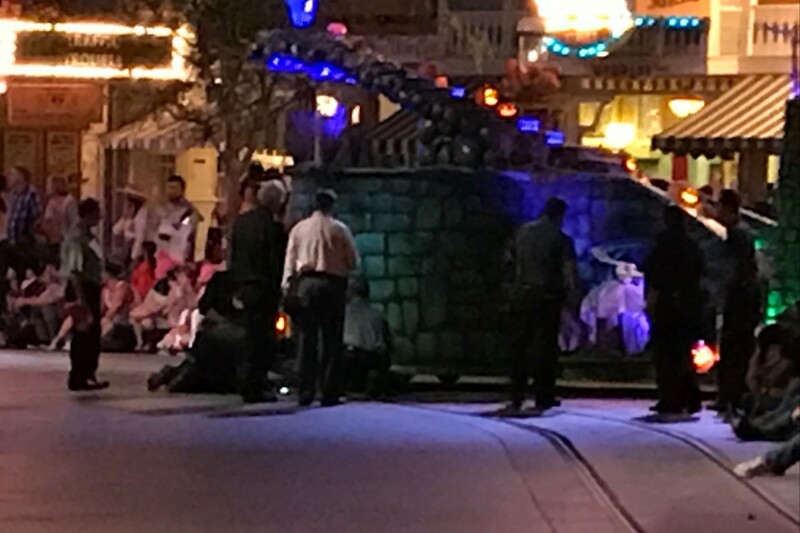 Crews sent out a tow vehicle, but the float ended up limping the rest of the way down Main Street and cutting off the Town Square portion of the parade route. Mickey’s Halloween Party is presented select nights now through Halloween, however no tickets are currently available for any of the nights at this time. Mickey’s Halloween Party – Is It Worth It?